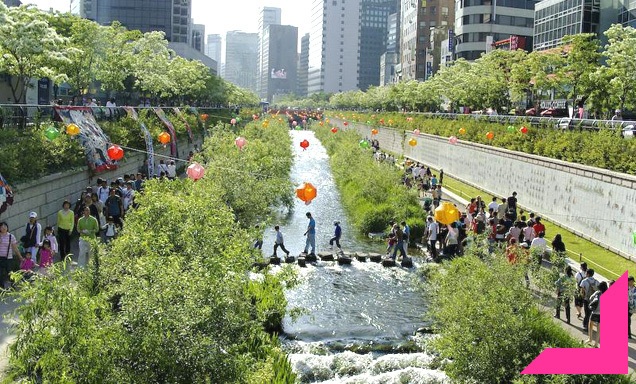 In 2003 the city of Seoul, South Korea removed the Cheonggyecheon Highway running through the city as part of an urban renewal project. This highway had covered the Cheonggyecheon River for decades and now a stream lies where the once busy expressway stood. The stream is lined with parks and urban gathering spaces and it has encouraged walking and taking pride in the environment.